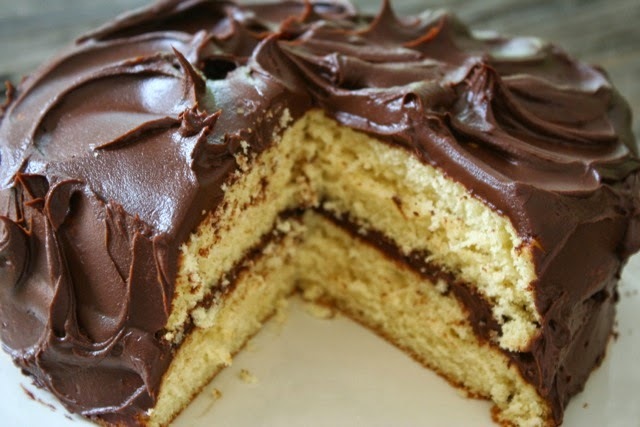 My husband's birthday is next Monday and I'm already mentally preparing myself for the task of making his all-time favorite cake, Duncan Hines Yellow Cake with Chocolate Frosting. Why the need to mentally prepare for such an easy task? Because I am a baker at heart and using a box mix is REALLY hard for me to do because it feels like cheating! My husband doesn't see it that way. And believe me, I've tried to recreate it from scratch and it never comes close. Duncan Hines cakes ALWAYS come out the same - perfect. And after nine years of birthdays together, I've learned that there must be a little magic in that Duncan Hines box! If you'd still like to try to recreate the recipe from scratch, Eaton Square Edibles has a great version on their blog. Click here to see the recipe. As for me, I'm playing it safe and sticking with Duncan Hines. After all, I don't want to screw up my husband's birthday! 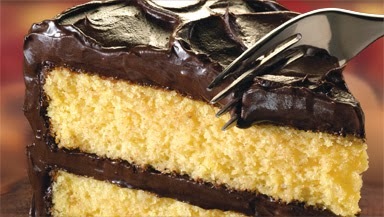 Note: Click here to get a coupon for any Duncan Hines product.